A sure way to get where you are headed! Will you join me in exploring this sentence, not just reading it? Let’s unpack it and see what help it holds our our journey toward God’s heart of love. To learn – suggests we don’t know how to do it. There will be practice required. Like any new skill mistakes are inevitable. Remember learning to downhill ski? Plenty of bruises from that endeavor! To live and love like Jesus – this is our goal, the end of our life, the target we aim for. Jesus is the model and the example of humanity perfected. The more we become like him, the closer we are to becoming who God created us to be. We need to learn to express the character of Jesus’ life and the quality of his love through our own unique and distinct personality and temperament. Apprentice my life – An apprentice is one who, because she desires to learn a trade or skill, attaches herself to one who is a master at the trade so that she can acquire the needed skill and knowledge. We know what we want to know and we know we aren’t able to get what we want or need on our own. To be an apprentice requires a humble submission and an admission of two things: our desire and our lack. Mentorship of Jesus – Jesus is the experienced and trusted expert at life and he has agreed to train us and advise us. He’s the source and the final authority. We submit to his life giving, and death defying instructions. It’s like enlisting the the military and going through boot camp or like being a contestant on the biggest loser. We trust and submit to the experts in order to help us accomplish what we long for, but can’t bring about ourselves. The opening sentence of the Mentored Life requires a response; a decision must be made, a commitment must be undertaken, a direction determined. 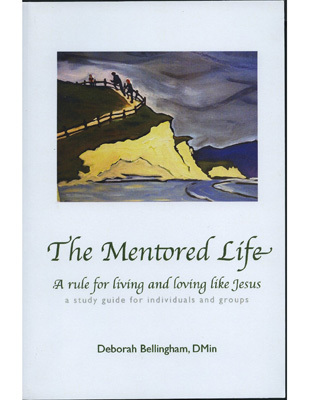 Are you willing to submit to Jesus’ mentorship and follow him and his teaching? Does this opening sentence to the Rule I wrote resonate with your heart? In my next post we’ll talk about potential responses! Please stay in touch.